Aug26August 26, 2014 • By Helen H. Wu • This entry was posted in Illustration, Painting and tagged animals, archival print, art print, Artwork for sale, cat, cat lover, drawing, Etsy, fish, fish and cat, Helen H. Wu, Illustration, kitten, Nature, painting, pet, pet lover, summer, sunny day. Bookmark the permalink. Yes. Indeed!! 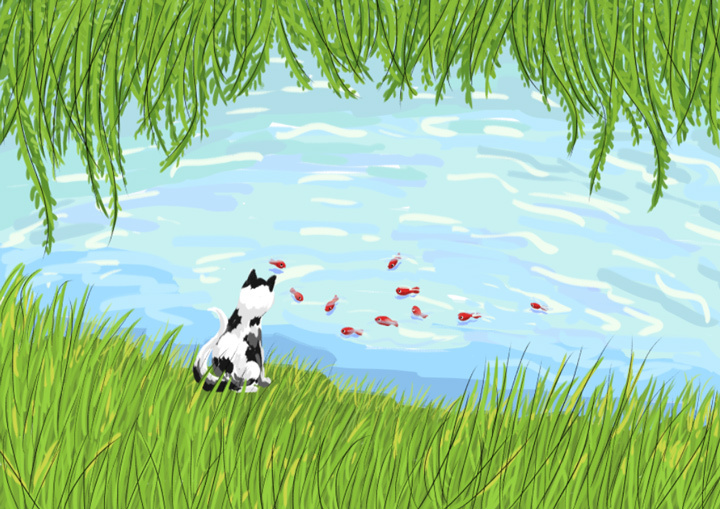 Lovely–grass and water texture–love!